Today I was a little lazy and didn’t feel great so I just added this photo that I took with my iPhone. Normally this shot I would pull out the main camera and tripod. I still like the tranquility of this riverside scene. 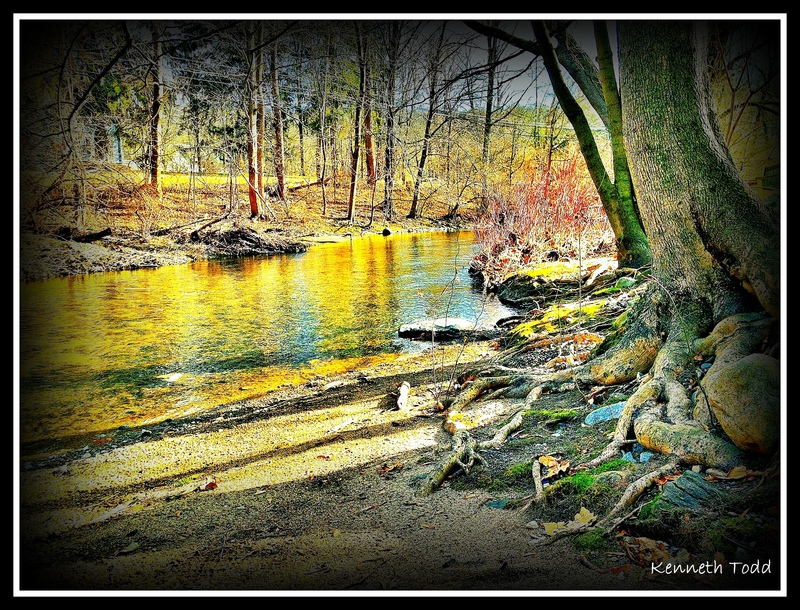 Roots of the tree are wonderful and water looks like gold. I hope you all have a great weekend and it is as peaceful as this scene. It still looks beautiful, even if it’s taken with a phone. Love the edits too! Wow that looks wayyy too beautiful to be taken from a phone! !